General Contracting commercial and residential. We love what we do... and what we do is help anyone in need of a renovation with every aspect of the project. Planning, product selection, color choices and room design are just the beginning, we help guide you through to a fully completed project. 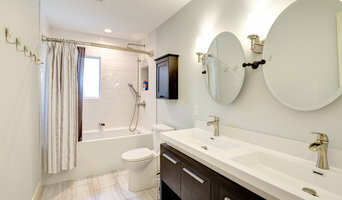 As a General Contractor we are connected to some amazing trades that ensure your plumbing, electrical and mechanical concerns are taken care of professionally and worry free every time. Our business relies and thrives on word of mouth as well as personal relationships with our client's, we go above and beyond to ensure that everyone we've ever dealt with is not only happy with the finished product we've provided but also with how they had been treated by us. We know that a large percentage of business is based on repeat client's and we love that! We strive to ensure that our client's feel like more than just one of many, through quality workmanship and great client care we know that once you work with us you will always work with us, we're that confident! Our client's become somewhat of an extended family. Not to mention, a lot of companies have warranties or guarantees that last for a year at best, we let our client's know that no matter how long it has been since we were at their home, if they have a problem with something we will be happy to come back and correct it for them. This is what truly sets us apart from our competition, our willingness to go above and beyond to give our client's a fantastic end result with a guarantee of satisfaction, period! We also want our client's to know that almost everything we do is "custom" we don't do "cookie cutter" projects. Every project is new and exciting and follows it's own set of rules, no two jobs, client's, homes etc are the same. Everyone's project big or small gets the same level of attention and care. Our client's also have the ability to change their mind even while the project is underway without having to pay an arm and a leg to do it. Each project is handled on a case by case basis, but truly nothing is set in stone, we want client input, artistic expression and mood to play a part in all of our projects, it's what makes them one of a kind! 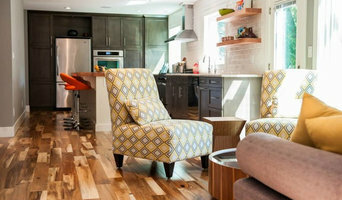 Every project and client is important to us at Scorpio Renovations Inc. and because of that we provide our client's with "Floor to ceiling" renovations, anything you can think of we can do it and we will do it right! A La Mode Dwellings Ltd.
For more than two decades, our firm has been delivering on our promise to provide start to finish construction and renovation services. Sherwood Park based with an outstanding crew of skilled trade professionals. We will tailor the project to your needs using conventional wood construction or alternative energy efficient materials. Dekel is not just a brand name, its a family name. We do not compromise on quality or workmanship. High quality and uniqueness make us proud to put our family name on the work you receive. For more than two decades, we have been building new homes and renovating existing ones in our community. 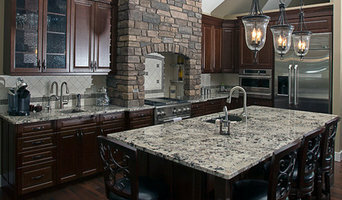 We are also approved Home Depot Contractors. 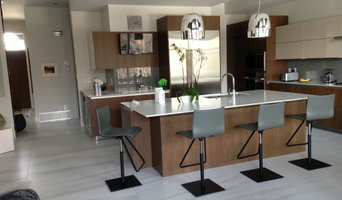 From complete high end make overs, to smaller detailed projects, we do it all. Crown Up Construction is an Alberta based, family owned general contracting corporation specializing in residential framing. We have been building and renovating homes for families just like yours since 2013.